The beautiful turquoise crystal clear seas of the Caribbean, so inviting and where better to join a cruise or go on a boat tour than this dream location. There are so many options of offer, you could choose to go on a luxury cruise, stopping at various ports along the way to your destination, with exotic locations such as Barbados, Saint Lucia or St Kitts and Nevis. The luxurious cruise liners have gourmet dining, spa and wellness centres, on board activities, so plenty to do and enjoy while you relax on the deck in a perfect climate with wonderful Caribbean views. 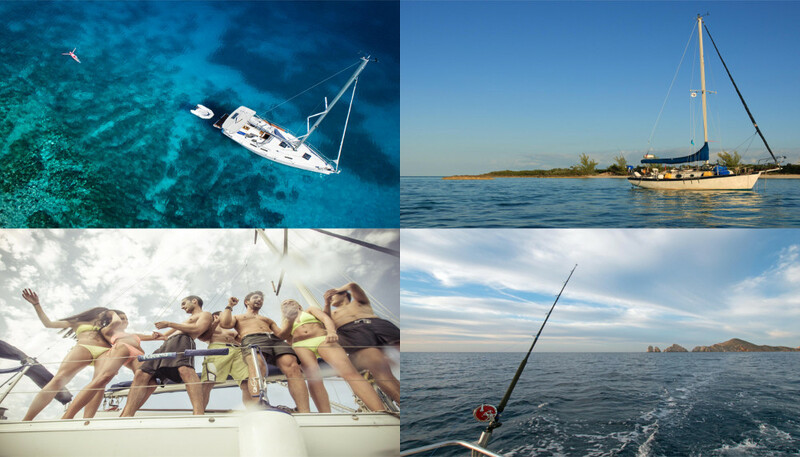 There is also the option to take a Caribbean boat tour, there are many on offer, each with its own uniqueness, so you can choose a tour that provides best for your requirements. The luxurious Kitty Katt boat cruise takes you to the stunning coral reefs off the coast of Turks and Caicos, where you can snorkel and see the most wonderful marine life and tropical fish. Following the snorkelling experience, the boat sails to a deserted Caribbean beach, where you can relax or collect impressive seashells as memories of your trip. There are other boat tours such as party boats, fishing trips, or night time boat tours, or go for something awe inspiring such as the Power 360 Cruise. The tour is on a luxury high powered catamaran that speeds along the Antiguan coast, passing spectacular sights such as Devils Bridge and Jumby Bay. The 360 Cruise stops off at Green Island, almost secluded where you can relax in the wonderful climate or enjoy lunch and drinks on board the catamaran, before speeding back along the coast to your resort. Another option to see more of the Caribbean is to charter a private yacht, there are many companies that offer this service, ranging from small boats, to luxurious yachts. The cost to charter a yacht in the Caribbean will depend on the size, style and age of the vessel. The price of a luxury superyacht can range from $30,000 to $1,000,000 a week. The Caribbean is probably the world’s most popular destination for yacht charters, a crew is provided and with their experience, they will be able to take you to the beautiful private beaches or to unique locations where you can experience different Caribbean cultures. The Caribbean sailing season runs November to July, although the high season is mid December to March. Outside of these months is the hurricane season although rare in the Southern Caribbean, but as these months are the quieter season, charter a yacht can be much less expensive. Island hopping is very popular in the Caribbean as many of the islands are very close together, there are three different ways to island hop. The first approach would be to take advantage of the many ferries and boat trips that operate in the Caribbean. These ferries and boats travel between the various small islands and is probably the easiest way to move from one island to another, and the least expensive way. The second approach, although probably the most popular is the most expensive way, and that is to island hop as part of your Caribbean cruise. The cruises are perfect to visit a selection of islands, but doing so in luxurious comfort with fantastic facilities. The final option for island hoping would be by air. This approach is typically used when the island you are planning to visit is a long distance away or where there are no connections by sea. Flight travel to the smaller islands of the Caribbean is actually not expensive, so is a reasonable way to travel, flights to the larger islands is typically more expensive. Safety should be considered when travelling in the Caribbean, so although the Caribbean has all year round fantastic weather, it is better to avoid August, September and October when storms and hurricanes are most likely. Avoid these months and you can enjoy calm seas and excellent weather. Security should be considered when in the Caribbean, but no more than any other country. Valuables left on a beach are at risk, avoid taking anything of value to the beach if they are to be left unattended. On a yacht vacation, extra precautions should also be taken as there have been problems in some Caribbean destinations. It is recommended to choose a marina with good security and always lock your cabins when away from your yacht. It is likely, although it depends on where you are travelling from, that you will need a visa to visit the Caribbean. If on an organised cruise, it is likely the cruise line will organise the necessary paperwork for your journey, otherwise you should apply to the embassy for the appropriate visa. A few weeks before you travel to the Caribbean, it is recommended to check that all paperwork is in order, as it is possible there could be a change to the visa requirements for one of the islands you may be planning to visit. A small omission or change will take time to rectify, so don’t leave it too late. The Caribbean is a fantastic location for a vacation, and taking into consideration key information regarding island hopping, times to visit, safety and security, can ensure that you maximise your enjoyment in this tropical playground and create memories that will live with you for many years to come.